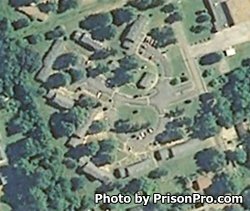 Marshall County Correctional Facility is located in Holly Springs Mississippi. It is a privately ran prison of mixed custody levels, and can house up to 1,000 inmates. While incarcerated inmates can participate in vocational education courses to learn commercial painting, horticulture, computers, and culinary arts. Offenders who are serving over six months can participate in a nine week drug and alcohol substance abuse program. In addition, inmates can earn a GED while they serve their time. Marshall County Correctional facility houses both long term commitments and inmates who are awaiting trial. Because of this, not all inmates are eligible for the programs at this institution. Marshall County Correctional Facility is currently ran under a contract with Management and Training Corporation. The visiting hours for this correctional facility are currently unknown, if you know the visiting hours please leave a comment below, otherwise contact the institution at the telephone number provided.